Yesterday you may have noticed a fair amount of Internet bandwidth and TV airtime devoted to Apple’s event. I want to do this economy a good deed. Apple did well. How does that help? Well Apple is part of the DOW and NASDAQ and as such it affects the US Market. I know their stock (AAPL) went down yesterday about 2.12% after/during their event. I also know that todays market started down. So how did Apple and this jester help the economy? Apple announced new products. But this jester is going to tell you why what Apple announced was good. Apple started with 15 minutes on Apple Watch. That was mostly ho-hum. But it is integral in long term. Wearables will be a more important segment of Apple’s future profits. This because we will shift our focus (in the world economies that are older) to health. Apple’s watch is only the entrée into this future product segment. Let me connect and emphasize a few other Powerpoints that you have missed. At the event Apple talked about pregnant women using their watch to collect fetal data that they could then share with the doctor. They also had a vendor (3D4Medical) during their iPad Pro presentation (which was nearly 40 minutes in length). It was a part of Apple Pencil announcement. A lot of people … ok most people laughed at this Steve-Jobsian-anachronism. Jobs hated the idea of a stylus. But mark this jester’s words that the wearables, the iPad Pro and the Apple Pencil along with apps (like 3D4Medicine) are pushing Apple products into the corporate world (a new market segment for Apple). Just take a moment and realize that Microsoft was a vendor at Apple’s event, earlier in the week we heard about Apple/Cisco and last year Apple/IBM. So we can foresee that Health is a new vertical for Apple in the business world. The Apple Pencil is important in this new segment when combined with apps and a nice tablet (such as iPad Pro). The Apple Pencil was a part of the 40 minutes of iPad Pro. Why is this more than another Apple Newton (PDA)? The Apple Pencil is important because of the accuracy — down to a pixel. At the time of the announcement they had not spoken of the 3D Touch (formerly known as Force Touch) which was a part of the iPhone presentation [yet to come]. Many app types will benefit not just Health apps. CAD, design, graphics will all be MUCH better on iPad and to a lesser extent the iPhone. It will also become staple of e-signatures. This jester (and I assume others) have hated e-signatures based upon on finger-touch because the accuracy was horrid and that added worry to using e-signatures. I now think e-signatures will finally become REAL. Annotations will become a bigger part of Apple’s eco-system. I think it will put pressure (pun intended) on other offerings (MS, Sanyo). So I think Apple Pencil will stick … assuming the price comes down from $99. Apple TV finally got an update. It received 30-31 minutes of love at the Apple Event. Ok, we got a new remote,, Siri-Search, an SDK, plus the other iOS features (multitasking, split-screen, picture-in-a-picture) in another OS, tvOS. So now developers must know: MacOS, iOS, watchOS, and tvOS. What we did not get was 4K support. Apple TV is still 1080p (HD). Why? The hardware in Apple TV (for which we get to pay a much higher price than Roku or Chromecast) includes 2GB RAM, HDMI 1.4, 802.11ac WiFi with MIMO, 10/100Base-T Ethernet, Bluetooth 4.0 wireless, USB-C (only for service & support), A8 chip. That HDMI 1.4 can support 4K, so why is Apple TV not supporting 4K? There is no local storage so apps have to store data in iCloud. Apps are also limited to 200MB in size. clearly storage on Apple TV is limited — hence why the USB-C is not the “hosted type” that you find on laptops whereby you can transfer a lot of storage. I assume it for Flash-RAM/PRAM updates, but will Apple send me aUSB-C flash-drive or will I have to bring the Apple TV into the Apple Store to get these updates? So Apple TV is a bit of a miss while providing an evolutionary link to something more special. iPhone 6s / 6s plus was the big announcement that most people were at the Apple Event to see. They devoted nearly 40 minutes to the iPhone. This jester thinks the new iPhone will be a winner. A9 chip that will be 70% (or more when an app is GPU dependent) faster. There is also 3D Touch, Touch Id(2x faster), 12 MP camera / 5MP front facing camera, auto-focus and zoom? appear to be better or at least faster, 4K Video, True Tone, Display 3x brighter, Live Photo, LTE and WiFi (upto 2x faster) and you can now purchase or make install payments on your new iPhone (2 year contract). Oh, iCloud is now half the cost for the same amount of storage. I think I want it all. You can pre-order starting Saturday (9/12). iOS9 will be released Wednesday(9/16), your new iPhone 6s/6s-plus arrives Friday (9/25) . Apple TV will be available late October (I hate these vague dates). iPad Pro will be available in November. [update] OS X “El Capitan“, which is version 10.11 will be available, September 30. [update]. So that is the event timeline. Ok, since everyone is panning or bored with Apple and its offerings, I expect I will be alone when I walk into my local Apple store to purchase my new gear. Good, because this stuff will give me and my coCEO wife, Teréza an edge in many ways over our competition. P.S. A Bloggist is a blogger, apologist. Stanczyk should not have been surprised. But WWDC15 surprised me early on, when Apple made a bold diversity statement by introducing us to Jennifer Bailey. Jennifer is Apple’s VP of Internet Services. While at Apple she has worked on the Apple Store and most recently as the global manager of a global team responsible for developing Apple Pay technology. Jennifer also has the distinction of being the first woman speaker at the WWDC Keynote this year. Previously Ms Bailey has a background that includes: Apple, SkyTel, & Go Corporation. Ms. Bailey was previously Partner and Co-founder of Spark & Kindling, a strategic marketing services firm, where she specialized in new market opportunity evaluation, market segmentation, and business plan development. Prior to Spark & Kindling, Ms. Bailey served as Senior Vice President of On-Line Services and Operations of myCFO, a financial services firm. Kudos to Apple for progressing its diversity and promoting women in technology. Along with Jennifer Bailey, Apple also introduced us to Susan Prescott, the VP Product Marketing. Apple’s 15th WWDC was again surprising. Pity the stories last week were true, no Apple TV announcements. No other hardware announcements either. Still there was plenty of excitement and glitz and all across laptops, smartphone and even TV the bandwidth was electric with Apple announcements. 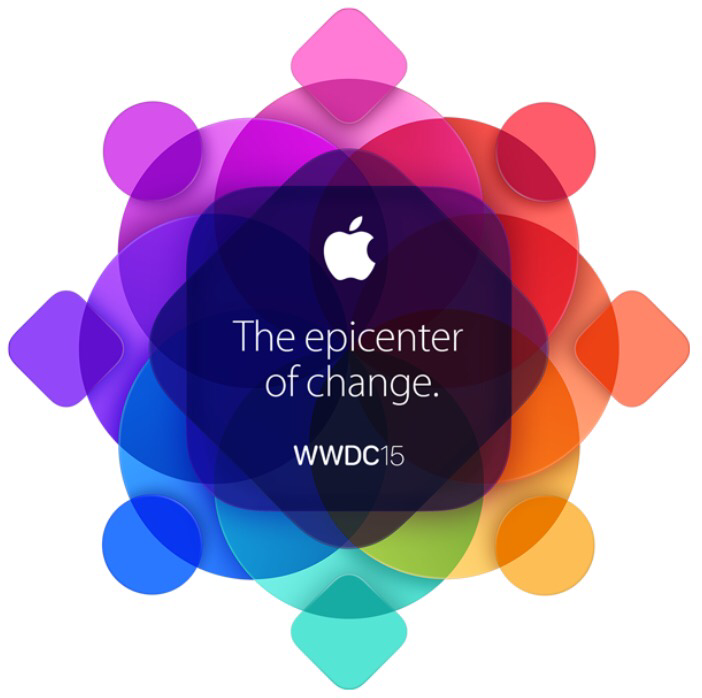 The conference started with the Mac’s OS X operating system (El Capitan). Good Stuff and many of the changes foreshadowed what people were expecting in the mobile ecosphere for Apple. After OS X, the klieg lights shined upon iOS 9. There will be greater emphasis on privacy and security. The 2-factor authentication will provide greater security for your Apple-ID. The privacy part is a re-iteration of Tim Cook’s pol;icy that Apple will not monetize from your personal data. It will collect, generically your personal data and keep it local on the phone, in order to provide, “Proactive Assistance”. There will be many ways that Apple provide’s this machine learning trick to aid you. For example, if you start an email, when add a person to the list of people, the pro-active assistance will suggest other people you frequently CC in your emails. A few examples of this assistance was shown. I will hold my breath and comments for when I see it work with me. I am sure it will work, do not get me wrong this is Apple. My concerns lie in will this eat bandwidth, space or be a nuisance. Enough on machine learning. The Built-in Apps gets some love. They will be built on Metal (the API for Graphics) and the UI should be a good bit faster and maybe some overall speed improvement as well since more work should be off-loaded of the CPU to the GPU. This will of course be of interest to all who play games. Notes gets some extra features ( is it too late; I guess I still use Notes so perhaps there are others out there too). Maps is better as well. Public transit help, nearby features improved are a couple of the new updates. There is a new Apple App … NEWS. You should think Flipboard. It will be pretty and sleek. It did remind me of Flipboard (without magazine curation). Here some iPhone news that I was keen on: ❶ It will use less battery, resulting in approximately 1 more hour of life per full charge, the iOS operating software ❷ will take less physical space (more room for apps, photos, music, etc. ), ❸ Pic-In-Pic ability so you can minimize a video/while watching and put it in a corner of the screen while you type an email (or are tweeting?). This leads to the fact that the iOS 9 will be more multi-tasking. In fact, for you iPad users (Mac users too) you now have a ❹ split screen capability(SplitView) to have two apps running at the same time and interactive. You can also copy/paste data between the two parts of the screen (by dragging?). ❺ Keyboards will now have shortcut bar (which even third-party keyboards can utilize). How about bolding or underlying your text from your keyboard? This is a Developer Conference and there was much for this geek-boy to love. Swift2 (new and improved). The Swift language will be Open Source too! In fact you will be able to program in Swift for iOS, Mac, and LINUX by the end of the year. So many new APIs: Metal, with gaming Kits, 26 APIs on the “Dev” screen, plus Pic-In-Pic, SplitView, Slide-Over, etc. 100 Billion apps download and $30 Billion paid to developers thru the App Store! More Apple Pay (its on Discover card now) and in the UK too. Apple Watch and Apple Watch OS got some new features. HomeKit, HealthKit, CarPlay were all represented. You know what else I was impressed with? I believe for the first time ever, Apple had two women VP’s on stage for the WWDC! Bravo to Apple for making their emphasis on diversity more visible. But you know what? Both of these ladies have been with Apple for a decade: Jennifer Bailey VP of Internet Services and Susan Prescott VP of Product Marketing. Kudos to both of these women and to Apple. Apple spent a lot of its, “One More Thing” time on Apple Music to close the keynote. Streaming music, $9.99 for you or $14.99 for up to five people in your family with each getting their own streaming. The Keynote ended on Apple Music and “The Weeknd” playing a new song for the crowd. OK Internet you can breathe again. Already this conference has had an effect on markets – not Apple stock, Pandora (down 3.81%). I know people are going to say WWDC was underwhelming because there was no hardware and because Apple TV was a no-show. But it seems that there was an awful lot to think about across a broad spectrum of products, so I found it interesting. Perhaps you watched an American Football game on Sunday. Odds are that if you are reading this blog, you did watch the Super Bowl. This is something that a large part of Americans participate in, myself included … all my life. I then spent the next two days seeing the commercials dissected on news shows across cable TV and the Internet. So I watch the commercials, to see the reflection of America. I am also hoping that for this one day a year, the commercials are entertaining and thought provoking. Who can forget Apple’s iconic, “1984” Super Bowl commercial for the Mac. In fact, that is what this blog is about — our American icons. Coca-Cola did a commercial, #AmericaIsBeautiful . The song “America The Beautiful” was sung — how beautiful. Really it was beautiful. I have to admit my hypocrisy upfront. While I was reveling in the song and its meaning to me, my primitive self had a moment of rage. The song had a couple of choruses sung in foreign languages. How dare they meddle with such a beloved American icon, as America The Beautiful ? But that half a second passed and I rationalized (as my rational mind is wont to do) that it was just foreign born Americans or other citizens of the world lauding America The Beautiful in their first language. I just enjoyed the lovely singing. I loved how the commercial tied into Queen Latifah’s beautiful rendition of America The Beautiful . But my rational self said Coca-Cola is going to feel a firestorm now for meddling with an American icon. I knew that the irrational 5% of America (uh commonly called the Tea Party), would be up in arms over this commercial over the use of foreign languages used in this version of the song. I knew they would boycott Coca-Cola, itself an American icon, but these are not rational people. They (the Tea Party) would spew their hateful rhetoric and start a boycott in their usual way of social conservatism — not fiscal conservatism as they espoused as their rationale for existing. These Tea Party thugs would try their totalitarian tactics to bend Coca-Cola, the American icon of business to their will. I do not think the Tea Party would see the ugliness in contrast to this beloved business icon, nor was it possible for them to appreciate the irony in their attacking the #AmericaIsBeautiful commercial. Coca-Cola for its part would need to learn that not all publicity is good publicity. Even 5% of a very large number is still a very large number. That could hurt the bottom line for Coke. I am not a shareholder and I have no allegiance to Coke as I am not usually a consumer of this company’s products. But I want to engage the other 95% of America, the rational 95%. Let’s buy a twelve pack of a Coke product (I think this jester will get their ginger-ale) and render the Tea Party boycott as weak as their numbers are and to show they have NO power over the other 95% of Americans ! Symbolism at its most eloquent. Render the Tea Party moot. Even better would be to vote them ALL out of Congress this November. Let’s end the concept of “social conservatism” by exposing it to the light and showing it for the TOTALITARIANISM that our parents / grandparents fought against in World War II and its aftermath, the Cold War. Lets make sure that, #AmericaIsBeautiful is not ironic. Think about it America, talk about it, then just do it. Make America The Beautiful the real thing !